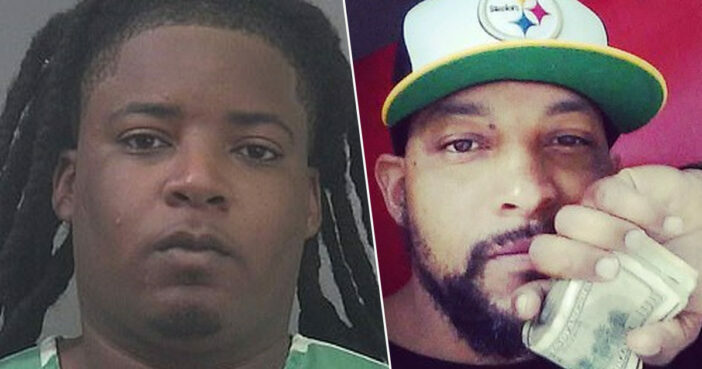 A 41-year-old man from Florida has been shot dead just after he’d paid for other people’s meals at a waffle house in Gainsborough, North Dakota, US. Good Samaritan Craig Brewer had been handing out $20 notes and paying for food for other customers when he was confronted by 25-year-old Ezekiel Hicks. Hicks reportedly took issue with Mr Brewer for not paying for his female companion’s meal despite paying for the meals of other patrons. Hicks reportedly left the waffle restaurant, before returning with a Glock 9mm pistol. Despite at least one bystander’s efforts to stop him reentering the restaurant, Hicks then proceeded to enter into a brief physical altercation with Mr Brewer, shooting him multiple times in the head. Mr Brewer was pronounced dead at the scene. According to ABC 11, Hicks was arrested in the parking lot and has reportedly admitted to having shot Mr Brewer. The shooting, which occurred at approximately 3am on April 7 – was captured on surveillance footage. However, officers will reportedly not release the footage on account of the ongoing investigation. Officers had already been responding to requests from the Waffle House to assist with dispersing a ‘large unruly crowd’ which had gathered there. The why of this case will persist for days and weeks as we conduct follow-up interviews, but the how is incredibly straightforward. Out of all the investigations that I’ve seen, very seldom do you have an incident from start to finish on video that ends in a murder. It was literally in the single digits worth of minutes from the time we received the initial call from the Waffle House, saying, ‘Hey, there’s too many people here, we’d like a hand clearing the restaurant,’ to deputies are on the scene, told about a shooting, and we have a suspect in custody and a firearm recovered. We are saddened by this tragic incident and right now, our first thoughts are with the victim’s family during this most difficult time. As reported by People, Hicks has been charged with first-degree murder and with carrying an unlicensed firearm. He’s currently being held at the Alachua County Jail, with no bond having been set. Our thoughts are with the family and friends of Craig Brewer at this difficult time.